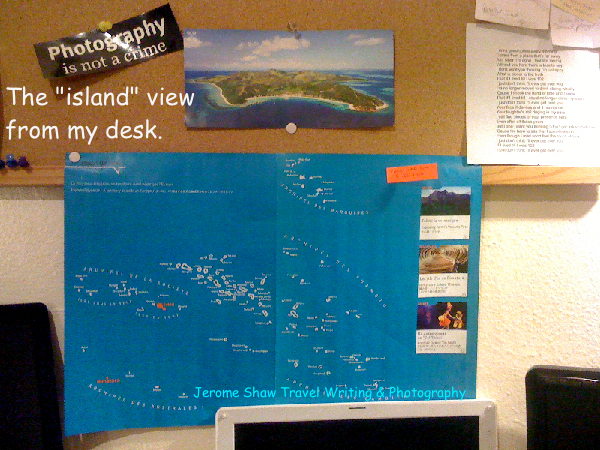 The "island" view from my desk. The post card above is Malolo Island in Fiji and the map is of French Polynesia, home to two of the islands on my #TravelWishList. Remember - Photography is not a crime. It may be a bit of cheat to create a #TravelWishList especially for islands, but, if you haven't noticed yet, islands are different. I have a unique affinity with islands. This may seem strange for a guy that grew up in Southwest Nebraska about as far from an ocean as you can get anywhere on the planet. Still, my little town of Hayes Center has many similarities to an island. It is a sheltering place in a sea of vacancy, anchored in the middle of Hayes County. Rather than be being surrounded and separated by water it is rimmed by a sea of grass and wheat fields. Hayes Center is the largest town in the county (a 26 x 27 mile rectangle), the county seat, and, at 280 people, the largest town in the county. Well the only town in the county to be precise. Hamlet, the only other “population center” in Hayes County revoked their incorporated chart some years ago. That is one reason for my fascination with islands. Another is, I feel a sense of peace on an island that I don't experience on a continent. While I doubt I could live for protracted periods on an island, (I did live in New Zealand for a year) I love to visit and explore them. Here are the islands on my Travel Wish List. Six Islands I’d Swim To. I have been to French Polynesia and spent two days on Tahiti. I could see Moorea in the misty distance from the pool at the Sofitel in Papeete. It seemed almost criminal to have come so far and not visit Moorea but that is lot of a travel writer traveling at someone else’s request. Bora Bora and Moorea are two of the best know names in island-mania. People may not have a clue where they are but they've heard of them. My reasons for including these South Pacific islands are many but right at the top are the photographic possibilities. Long before Icelandair start flying between Denver and Reykjavik I wanted to visit Iceland. It may have been when Sports Illustrated shot their swimsuit issue in Iceland (Okay I’m making that up.) Anyway, I remember photographs of beautiful girls in bikinis, brilliantly blue pools of water with steam rising into the air. It looked like a place I wanted to be. Another lure of Iceland is its rural nature and austere landscapes. These attributes appeal to me as well as the inhabitants self-reliance. Besides, it is right on the way to number 4 on my list. My reasons for putting a location on my TWL are starting to be redundant but the Azores do have some marvelous seascapes. From the photos I have seen of these islands nearly 1000 miles/1600 km from the coast of Portugal, the Azores have some of the most dramatic views in the world where the sea meets the land. Correct me if I am wrong, please. The Azores are a potential location for a travel photography workshop so I want to get to know these islands well. I am part Irish. I know — everyone in the Untied States is part Irish, at least on St. Patrick's Day. But I really am Irish by heritage. One branch of my lineage hails from County Cork. I want to see from whence I came. This is another of the “I almost went to there on a photo assignment places.” The list of places that some magazine editor or film producer talked of sending on assignment is far longer than my present TWL or for that matter the list of places I have visited. I am determined to shorten my “I almost went there once” list this year, too. Many people have The Maldives on their list of places to see before they disappear under the water. I think there are better reasons to travel to these out-of-the way islands. Beauty, serenity and isolation are the reasons that come to my mind. I’ll let you know when I get there. The Maldives and Seychelles alternate on my wish list. I am eager to remove one or both to make way for other deserving islands get on my list. 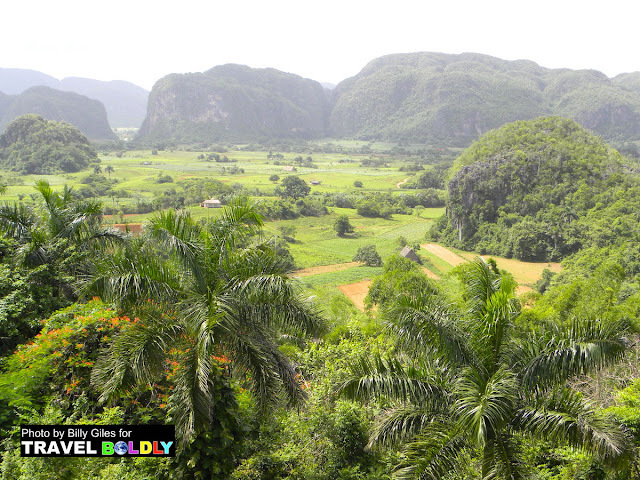 There as so many islands in the Caribbean that I haven’t visited I should just take a cruise and knock off a dozen. Instead I picked this tandem to get a twofer. I have a good friend from Venezuela that lives in Trinidad and where does she go on her days off? You guessed it Tobago. Her recommendation is good enough for me. Anyone of these would be a great addition to the above list. I hope to make room for all of them next year. The list parade continues with Six places in the United States that I hear calling me. My Travel Wish Lists are comprised of places I have yet to visit so in another post I’ll name the Six places I have already visited that I want to return to again. The cherry on top of the wish list pie is a list of my favorite places in Colorado and the neighboring states. Also, I can be bribed, so make your case for why I should visit your favorites. Make sure to include an envelop filled with cash and a roundtrip ticket to your designation of choice. Please share your Travel Wish List with me here in the comments and tell me why your choices should make my next list.